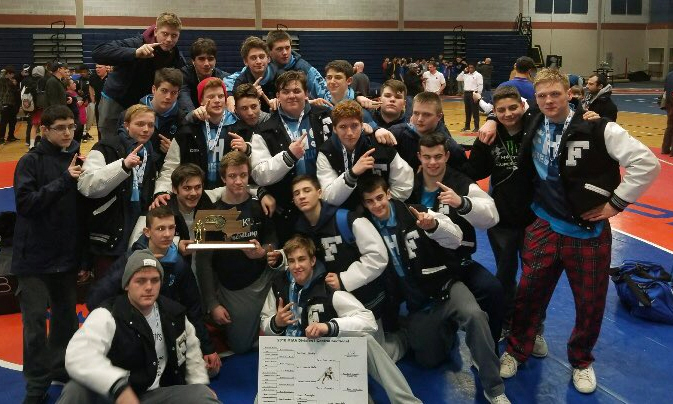 #Hockomock wrestling: D1 Central Sectional champs (Franklin), D1 South Sectional champs (Mansfield), D2 South Sectional champs (North Attleboro), D3 South Sectional finalists (Foxboro). Not too bad. D1C Individual Sectional Results: 1st- TJ Remillard. 2nd- Jake Carlucci, Sauer, Bakalars, Jordan Carlucci, Polito, and Johnson. 3rd- Farrell and Racca. 4th- Cogavin, Sackley, Maclean, Coughlin, and Downing. The whole entire line up advances to D1 States next week.